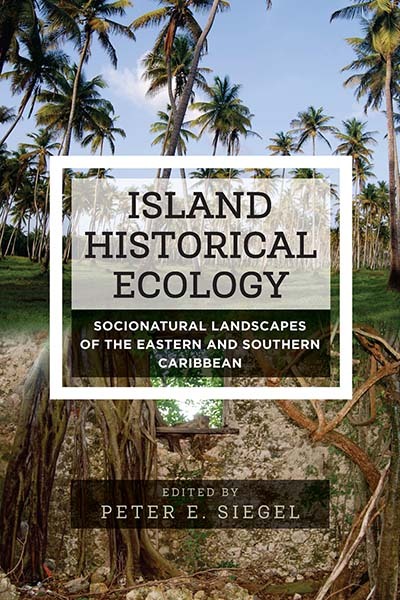 In the first book-length treatise on historical ecology of the West Indies, Island Historical Ecology addresses Caribbean island ecologies from the perspective of social and cultural interventions over approximately eight millennia of human occupations. Environmental coring carried out in carefully selected wetlands allowed for the reconstruction of pre-colonial and colonial landscapes on islands between Venezuela and Puerto Rico. Comparisons with well-documented patterns in the Mediterranean and Pacific islands place this case study into a larger context of island historical ecology. Peter E. Siegel is Professor of Anthropology at Montclair State University. His articles have appeared in Current Anthropology, Journal of Anthropological Archaeology, and Journal of Field Archaeology, among others. Siegel’s research has been supported by the Heinz Family Foundation for Latin American Archaeology, National Geographic Society, National Science Foundation, the Wenner-Gren Foundation for Anthropological Research, and the School for Advanced Research, Santa Fe.